County Government of Nyeri will soon hire eight (8) sub county directors of education who will be in charge of ECDE centers and Youth polytechnics in the county. Nyeri Governor H.E. Mutahi Kahiga said the education directors will be promoting awareness on child care, early childhood, home craft, vocational and training needs and demands to local communities and parents. The directors (training officers) will also be preparing and implementing the departmental strategic plan, annual work plans and periodical reports in the sub-counties in Early Childhood Development Education (ECDE) centres and Technical Vocational Education and Training Institutions (TVET) Institutions like Youth polytechnics. The directors’ other duties and responsibilities shall be overseeing, coordinating, promoting and implementing departmental Programs, projects, policies and general education programs in the sub-counties and also providing technical and coordination support to the stakeholders and partners in mainstreaming education and training in the sub-counties among others. In the Ministry of Education, ECDE and youth polytechnics functions have been devolved. H.E Governor Mutahi Kahiga said advertisements of the vacancies will be placed in the press next week to ensure that the eight directors are employed. Those qualified for positions including teachers have been encouraged to apply in order to be deployed in the eight sub counties which include: Othaya, Nyeri Town, Kieni East and West, Mathira East and West, Mukurwe-ini and Tetu. This comes a few months after the County Government of Nyeri hired 624 ECDE caregivers, built 17 ECDE classrooms and many toilets specifically for the nursery school kids. 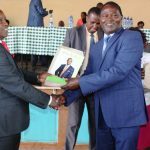 The governor was speaking today during a meeting of Kenya Primary Schools Head teachers Association (Kepsha), Nyeri branch at Nyamachaki PCEA hall, Nyeri town where the head teachers appointed him as the branch patron. The head teachers were also urged by the governor to also support the government’s initiatives like disbursement of Elimu Fund bursary kitty to ensure accountability and transparency in order for the needy students to benefit. The Elimu Fund kitty has since been increased from Sh 60 million to Sh 100 million. 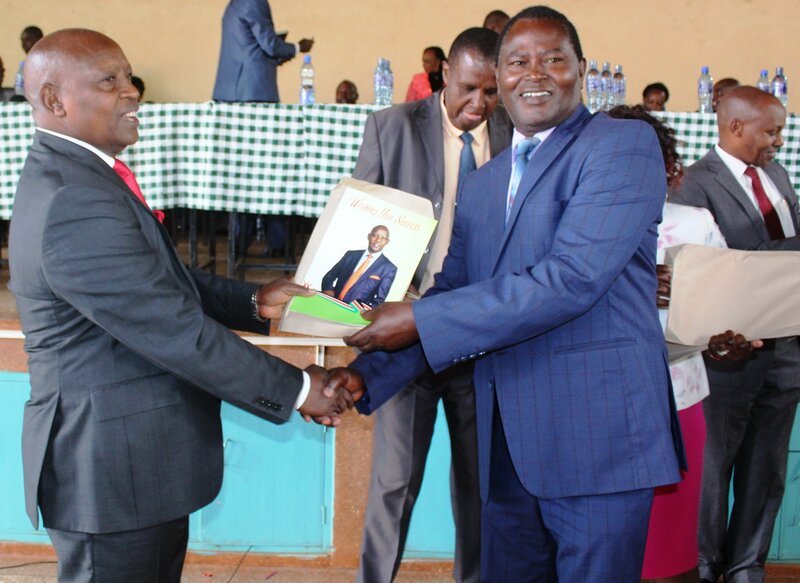 The Governor lastly wished all KCPE and KCSE candidates’ success in their national exams.